This picture is from 2006, the next time that my Mom would visit the Magic Kingdom! I was about 10 or 11 years old when I first went to Walt Disney World. My Grandma and Grandpa had retired the previous year, and moved to Florida, so the following summer my Mom and sister and I went down to visit them. In the course of that trip, Grandma and Grandpa took us on a trip to Walt Disney World. I don’t have any pictures of the trip, but I do have memories. I remember that at that time Disney World consisted of the Magic Kingdom, the Contemporary Resort, the Polynesian Resort, and the Grand Floridian resort. We didn’t stay on property, and we had to decide which rides we wanted to enjoy because the park had tickets for the individual rides. The more popular rides took more tickets than the less popular ones. I remember that I wouldn’t ride Space Mountain. Robin (my sister) tried really hard to get me to go, but I was chicken. Remember when the Theater on Main Street showed silent Mickey Mouse cartoons? So many things have changed at Walt Disney World, but regardless of that, so much of the Magic Kingdom has remained the same. Despite the changes, the predominate things that make Walt Disney World special remain. The Magic began for me with the moment we would get into the car to make the trip to Disney. The closer we got to the park, the more the excitement would build, and when we saw the “Walt Disney World Sign”, I was about ready to bust with excitement. The excitement continued to build as we passed the parking attendants, got out of the car, and memorized where we parked (we were usually in Grumpy or Happy). Then, as you ride the tram to the the Transportation and Ticketing Center, reality continues to fade into the background as you are magically transported to the world of Walt Disney. 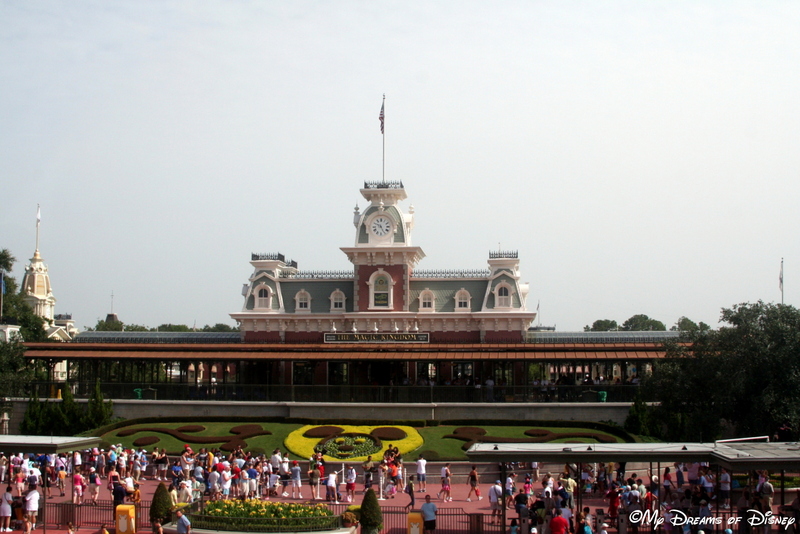 For us, as we rode on the Monorail to the park entrance, seeing the famous Magic Kingdom landmarks approach always started a discussion on what ride we would ride first. The answers always varied, but for me, and that first visit, I didn’t care which ride I rode first. For me, the experience of it all is what was really special to me. I didn’t care which rides I rode, that first trip I was all about where it all begins — Main Street, U.S.A. Seeing the train station, experiencing the buildings around the circle, and then taking in all of the shops, that is, in many ways, what it is all about. Even now, after years of visiting Walt Disney World, to me, nothing is as special as the feeling I get when I enter Main Street, U.S.A. and take it all in.